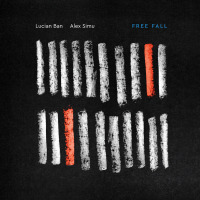 One of the most creative new musicians on the New York City scene, Lucian Ban is a Transylvanian pianist and composer whose collaborations with fellow NYC jazzers continue to produce a burgeoning collection of original music. Recordings with Bob Stewart, Alex Harding, and Jorge Sylvester highlight Lucian's prodigious recent output, a body of work that includes five releases in the last five years. Raised in the tiny farming village of Teaca, situated in the center of Transylvania, Ban grew up listening to folk songs performed at weddings, birthdays, holidays and other celebrations. The instrumental and choral folk music of Ban's youth attracted Béla Bartok, a century ago, to this pastoral region, which encompasses a rich cornucopia of Hungarian, Austrian and Romanian culture. At age seven, Ban moved 100 miles southwest of Teaca to the Transylvanian city of Cluj, where he started classical piano and composition training. 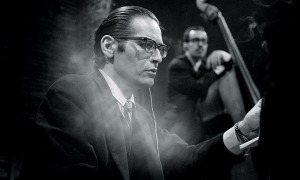 The spirit of his native folk music, however, would eventually lead Ban to embrace the improvisational freedom of jazz, blues and rock during a time when freedom, especially when associated with the West, posed a political problem for musicians living behind the Iron Curtain. Ban credits Thelonious Monk, Randy Weston, and Bud Powell as early jazz influences. Impressions of Ellington, Paul Bley, Keith Jarrett, and Abdullah Ibrahim soon followed. 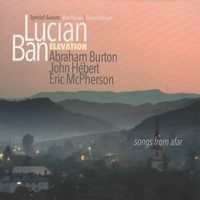 After studying composition at the Bucharest Music Academy from 1992 to 1995, Ban formed his first stable quartet, Jazz Unit. 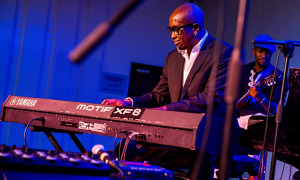 This band afforded him an opportunity to write, arrange and record two discs, including a live release at Green Hours, the capital's premier jazz club. 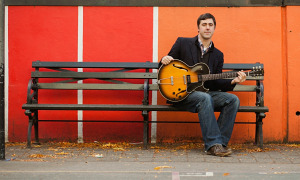 New compositions, new recordings and a willingness to further his jazz education prompted a move to NYC in 1999 to study at the New School. 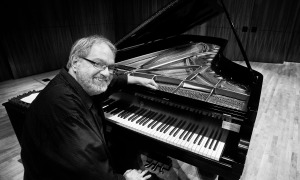 A 2002 duet with baritone saxophonist Alex Harding produced the well-received disc Somethin' Holy (CIMP Records) and marked the pianist's American recording debut. Since then, Ban's collaborative thumbprint has been wide-ranging, including membership in the Tuba Project quintet featuring Bob Stewart, Alex Harding's Blutopia band, Hieroglyphics with drummer Barry Altschul, and the Asymmetry quartet with alto saxophonist Jorge Sylvester. 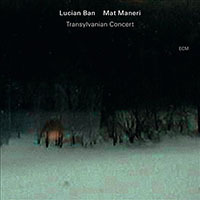 Yet, if a common characteristic of Ban's music exists, it may be the blending of modern jazz improvisation with traditional Transylvanian folk rhythms and melodies. 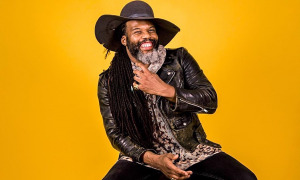 It's a sound he brings home twice a year, touring Romania with a stable of American jazz compatriots like soprano saxophonist Sam Newsome who, with Ban, recently co-composed, arranged and performed a jazz suite based on Romanian folk music. "If music is good, people will relate to it all over the world, says Ban. Be they in Teaca or Cluj or New York City. All About Jazz: You began playing music by studying the classical repertoire. How did improvisation enter your musical education? 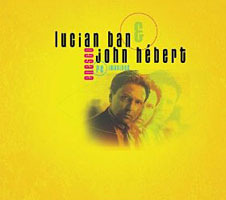 Lucian Ban: By discovering jazz through my first mentor, Gyorgy Joldt, a great pianist and jazz connoisseur. Randy Weston, Bud Powell, Monk were my first encounters with jazz. Then Keith Jarrett, Paul Bley, Abdullah Ibrahim and Duke Ellington. Improvisation was a totally different approach to music. I knew about European music but this was something else! AAJ: With the communists in power in Romania until 1989, was it difficult to find jazz recordings and other jazz musicians to play with at the beginning of your career? LB: Yes, very, but I was lucky to have a mentor who had an incredible jazz collection, 2000 LPs, some of them signed. It was a gold mine, and for two-to-three years I was at his place everyday sucking up every album and musician I heard. These were special years of accumulation and learning. There were very few jazz musicians in the whole country, no scene at all, in fact. It was something subversive, and the few jazz musicians that did exist had the status of "political dissidents" because of the very art form they were practicing. 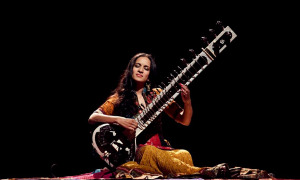 AAJ: Describe your experience playing in Jazz Unit, your first band. What did you take away from that group? LB: I took a lot from it, learning to play for, write for, and lead a working combo. I also learned a great lesson: to write for the specific players in the band and not for the instrumentation. I'm proud to say that during the time that Jazz Unit was active we actually became one of the best jazz combos in Romania. 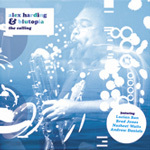 AAJ: Alex Harding was and continues to be one of your primary musical collaborators. How did you meet? LB: Alex and I played together from first moment I got to New York, and I've learned a great deal from him as a musician, friend and somebody with more experience on the scene. He's introduced and recommended me to many of the great and established players in the city. AAJ: For the past five years, you and Alex have worked together on a series of recording projects: The Tuba Project (CIMP, 2006), The Calling (Jazzaway, 2005), Premonition (CIMP, 2003), and Somethin' Holy (CIMP, 2002). How did these originate? LB: Each of these groups originated with our desire to play original music with specific players and instruments. The Tuba Project, for example, features tuba instead of bass. What's more, it showcases one of the best tuba players around, Mr. Bob Stewart.